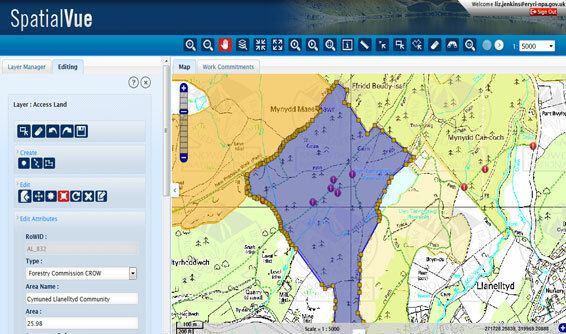 SpatialVue is an enterprise Web GIS platform developed using OGC standards such as WMS, WFS, and WPS. 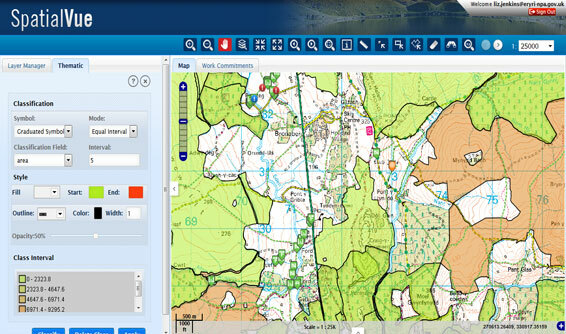 It is compatible with all OGC compliant commercial and open source web mapping engines such as ESRI ArcGIS 9/10, GeoServer, Autodesk MapGuide, Erdas Apollo, MapInfo, and Deegree, amongst others. SpatialVue provides the requisite out of the box tools to publish spatial data quickly and securely over the web with an authenticated security and role based user access. It enables easy and efficient management, visualization, editing, and maintenance of spatial data. It is easily customizable, depending on the user requirements, without having to reprogram and rewrite codes. It is best suited for clients who want to accelerate their WebGIS development and deployment. Interoperability: Designed to improve the efficiency and reduce long term costs by providing interoperability across web mapping servers. Works across OGC compliant mapping servers from COTS based ArcGIS 9/10, Cadcorp, MapGuide, Erdas Apollo to open source GeoServer. Customization: Provides CSS based out-of-the-box user interface themes. Furthermore, users can also create their own custom themes, without having to do any custom programming. Reporting: Provides multiple report templates and themes, to create user defined custom reports. Reports can be exported to HTML or PDF formats. Security: Comes with database driven default authentication. External login and authentication is also supported through LDAP (Active Directory). Configurable: Provides rule based access control. 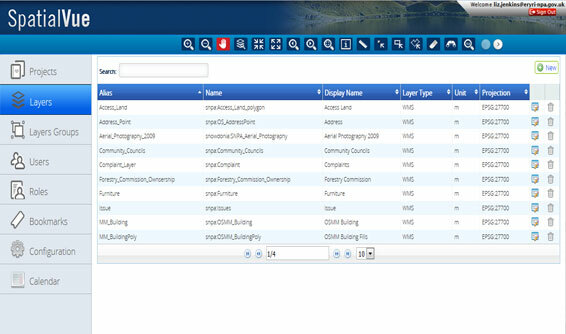 Administrators can manage WMS layers, control users, groups, and passwords, access levels to data layers, layer attributes, and tools through a simple user interface.